Students who want to pursue higher education can turn to government student loans for help in financing their studies. In this article, let’s discuss the basic things you need to know about Perkins Loans, Stafford loan and Parent PLUS loans. Both undergraduates and graduate students can apply for a Perkins Loan for financial support. On the other hand, Stafford loans and Parent PLUS loans are offered for undergraduates and students who are just about to enter college. Federal student loans have lower interest rates than student loans offered by commercial lenders. Stafford loans have a fixed rate of 8.5 % rate while Parent PLUS loans have a lower fixed-rate of 7.9%. It is interesting to note that all federal loans for students have a fixed or permanent rate of interest. A Stafford loan can either be subsidized or unsubsidized. A subsidized loan frees the borrower from paying the additional interest. 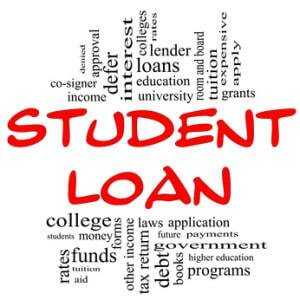 As long as the student is in school, he/she is exempted from paying the interest rate of the loan. However, this type of loan is only available for students from low income families. Unsubsidized loans are open for everyone. The borrower will pay the interest rate of the loan, which is still cheaper than the cost of private student loans. The student can start repaying the loan after college graduation or if the students decides to quit schooling. Federal Stafford Loans provide 6 months of grace period while Federal Perkins Loans provide up to nine months of grace period. The Parent PLUS loans are offered for parents who have dependents pursuing college. Nevertheless, there is no grace period provided. As soon as the funds have been provided, the parent is required to start with the repayment right away. Untimely submission of payments can still pose a problem for borrowers of Federal student loans. Despite the lower rates, you can still get stuck in bad debt if you do not pay attention to your payments. Bear in mind that the government will still require you to pay back the loan. In case of default, repayment will be automatically taken through salary deduction. You may also be disqualified from enjoying certain privileges such as tax refunds or tax deductions. In a worst case, a legal case can filed against you which can badly affect your credit history and reputation.